What is the #1 thing developer candidates look for in a job description? Uncover the answer in our latest trend report. 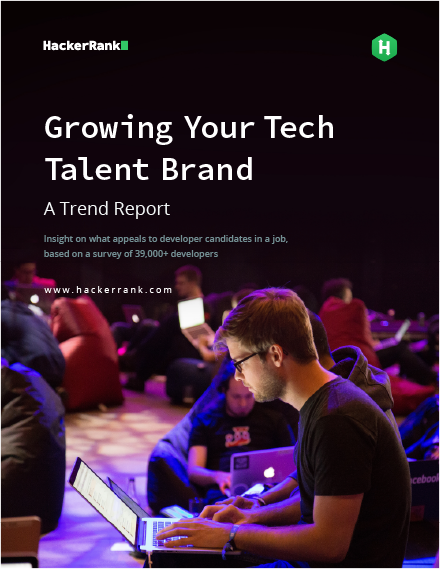 You’ll learn what developers highly value in a job, what tools they’re most interested in learning, and how candidates evaluate potential employers. What is your current applicant tracking system? Do you have a tech skill assessment solution? What is your top priority this quarter? How many positions do you have open? What roles are you trying to fill? What talent levels are you hiring for? Do you have a university recruiting program?